google-site-verification: google0080780002a0d302.html Spanish Courses. ⋆ Academia de inglés Bla Bla Company Granada. Bla Bla Company backed by an 18-year experience. 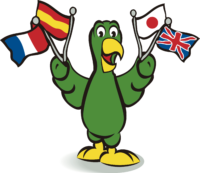 During this time, we have offered Spanish courses of many kinds and levels, such as private courses, continued training for foreign workers as well as courses for companies and students. Classes start at 9.30 am from Monday to Friday and they last 50 minutes. 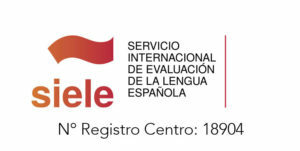 Services included in the price: 1) Level test, 2) Class material; 3) Classes; 4) to our APP by the students and their family for teaching follow-up; 5) Map of Granada with useful information; 6) Four extra activities; 7) Information about other extra activities; 8) Guidance; 9) All the paperwork for your SIELE exam. Groups are made up of a minimum of 4 people and a maximum of 8 people.